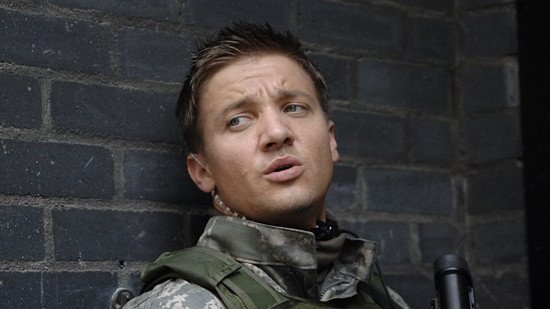 Jeremy Renner Lifts the Lid & Reveals some details on Tony Gilroy’s 'THE BOURNE LEGACY'! Jeremy Renner recently caught up with Empire & revealed a bunch of details about Tony Gilroy’s The Bourne Legacy, including his characters name & whether Treadstone will be involved. "My character is called Aaron Cross, but he ends up having a bunch of different names. For fans of the franchise, [The Bourne Legacy] has that same ticking clock, but it’s a new programme and new characters." Empire questioned the actor on whether Treadstone is still involved? "Yeah, it’s that same deal, it’s just a new set of agents with a different leash. It’s the same tempo and pace but more expansive and bigger. The differences are pretty vast but you’ll know it’s a Bourne movie." The Bourne Legacy by Eric Van Lustbader is the first book in the series after original writer Robert Ludlum’s death. The movie features a whole new hero [Renner] in the same universe as the first three Bourne films, though Jason Bourne [Matt Damon] will not appear. The Bourne Legacy hits theaters August 3rd 2012. Edward Norton, Oscar Isaac Joan Allen, Albert Finney, Stacy Keach, Rachel Weisz & Scott Glenn all star. I'm reading: Jeremy Renner Lifts the Lid & Reveals some details on Tony Gilroy’s 'THE BOURNE LEGACY'!Tweet this!